I am fascinated by Japanese art. My aunt is from Okinawa and I grew up learning a little about the culture and art. 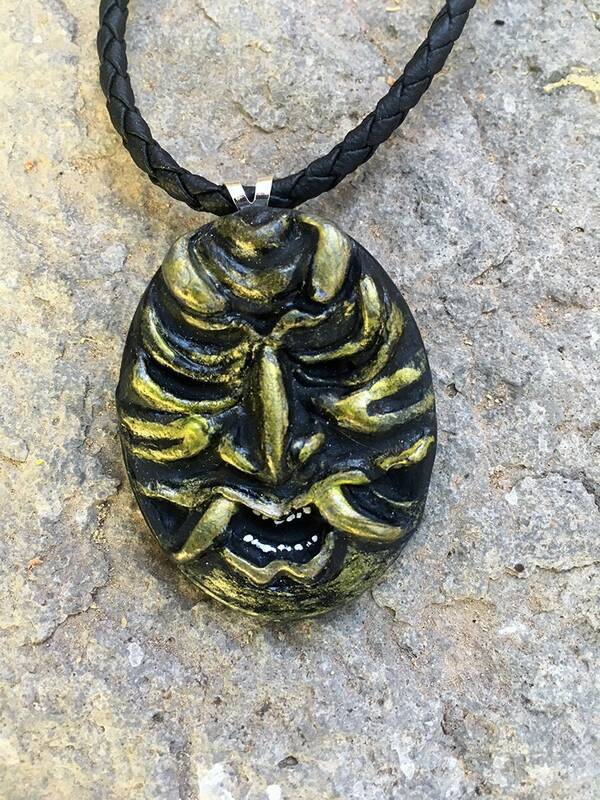 Demon mask art left the biggest impression on me as a child. 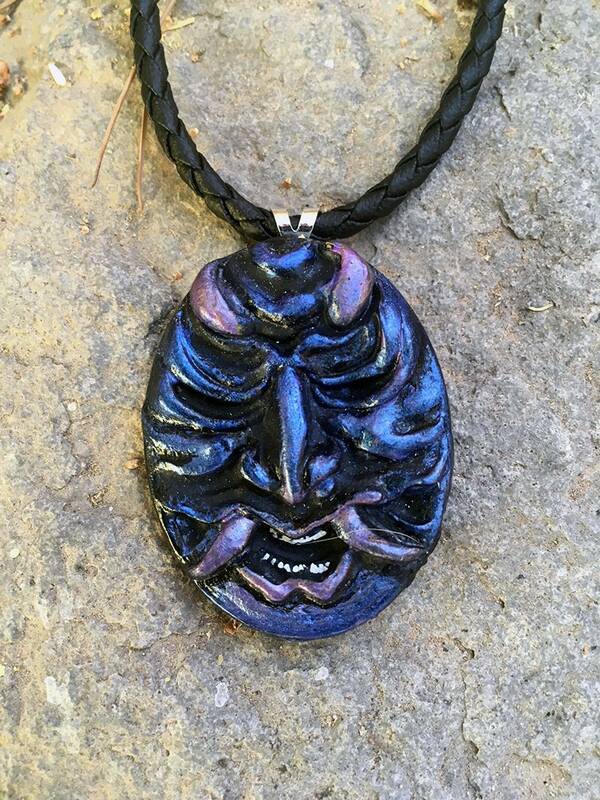 This Japanese demon mask is cold cast resin pendant created from from my original sculpt. 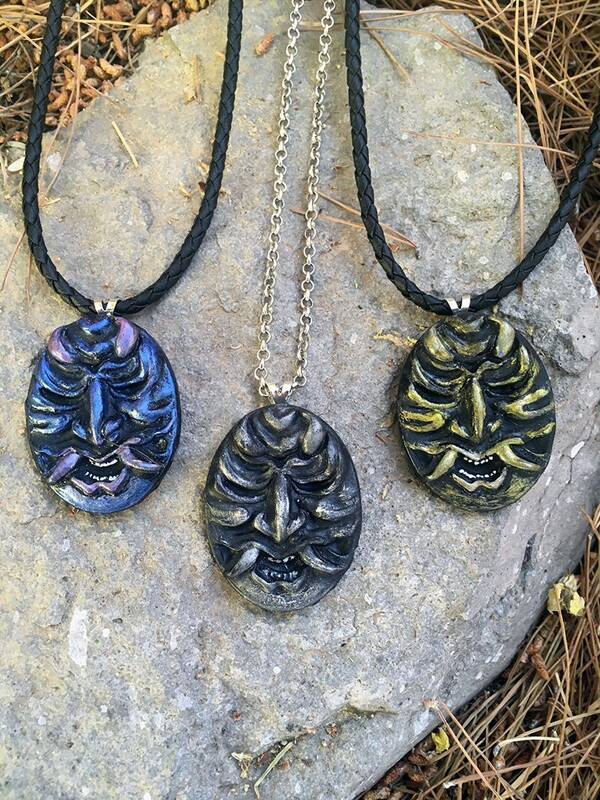 • Pendant measures approx 1.75 x 1.5"